It’s the biggest shopping weekend of the year and I am here to keep you updated on all the sales over the course of the weekend. I have also included some of my favorites from my favorite retailers in case y’all were curious. I actually hit up Target tonight and got a few fun things and will be doing the rest of my Black Friday weekend shopping from the comfort of my own home. Now without further ado, here are the best 2015 Black Friday sales. Bath & Body Works: Buy 3, get 3 free! Forever 21: Up to 70% off + free shipping on orders over $30. Lilly Pulitzer: Any Spend, free shopper tote, $75 spend, Tusk In Sun bracelet + prior gift, $250 spend, travel journal set + prior gifts, $500 spend, travel cosmetic case + prior gifts. 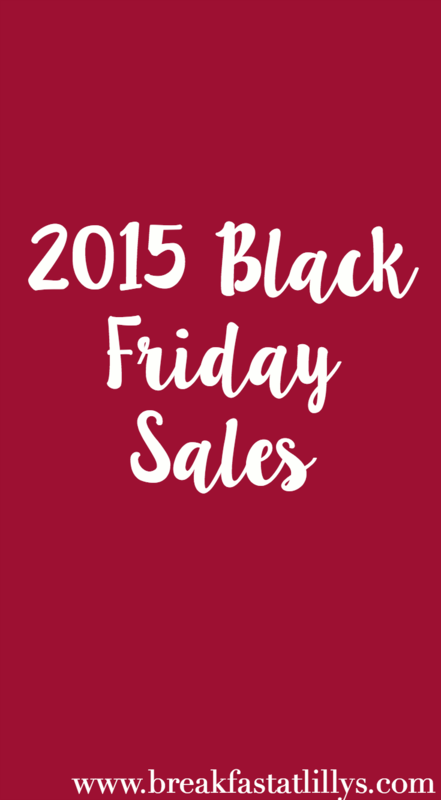 I hope you enjoy participating in the 2015 Black Friday Sales! Let me know what you got down in the comments.